I confess I have big dreams. Wild dreams. Some of them are way out there, and others are a bit more practical. Many are just that, dreams. Things I like to play with in my mind. Others are sensible enough that they will come true. Others, probably the best ones, require effort and care to take place. This is an image of the kind of place I would like to set up. 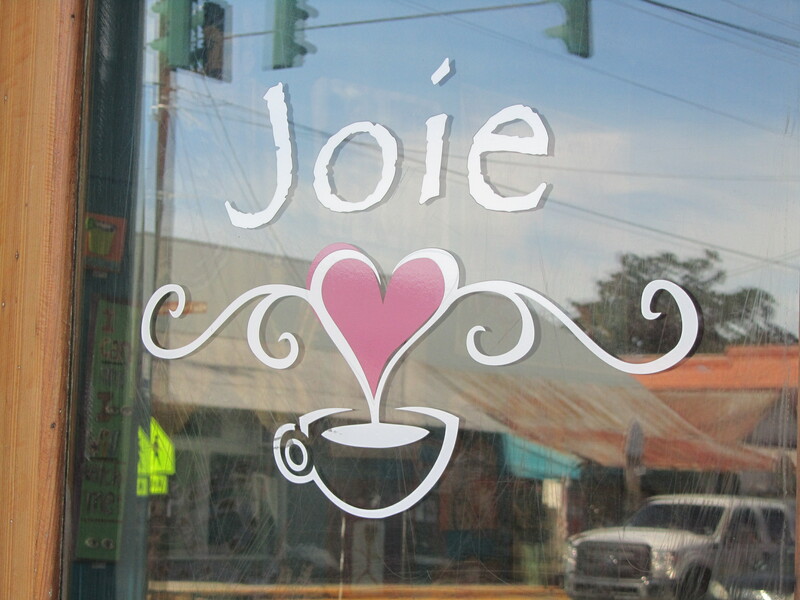 It’s a little cafe in a town in South Louisiana. Seemed to be the kind of place where people would go and hang around enjoying coffee, tea and other good stuff. They had a small menu that only had three or four amazing offerings each day. There was local art in the establishment, as well as fair trade world goods. It was truly what big chains attempt to model as a “third space,” not your home, not your office, a third place to hang out. And the more that I travel, the more that I see the need for places like this. Maybe in some ways this is what our congregational places should become, “third space.” A place for folks to hang out and enjoy one another in the presence of God. I confess I would like to try that.